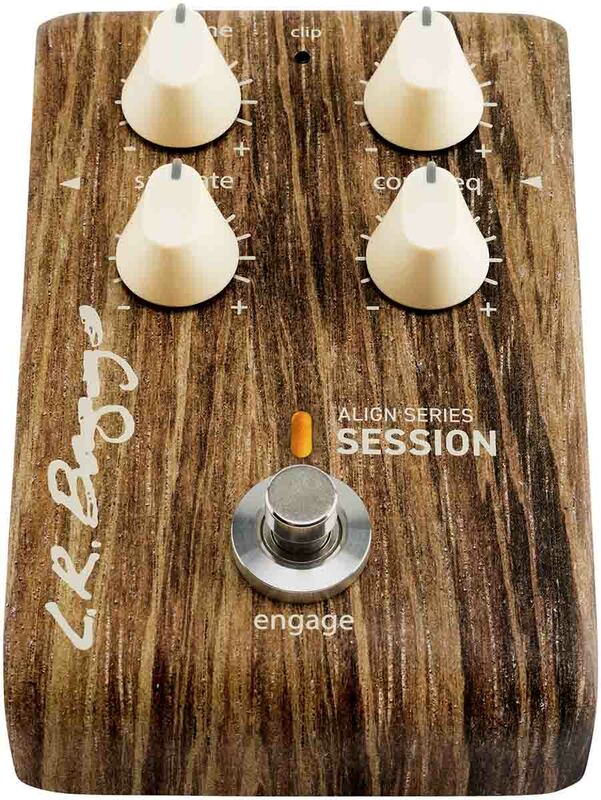 Inspired by the LR Baggs Handcrafted Video Sessions and their experience in some of Nashville's great studios, the Align Session brings the LR Baggs signature studio sound to your live rig. 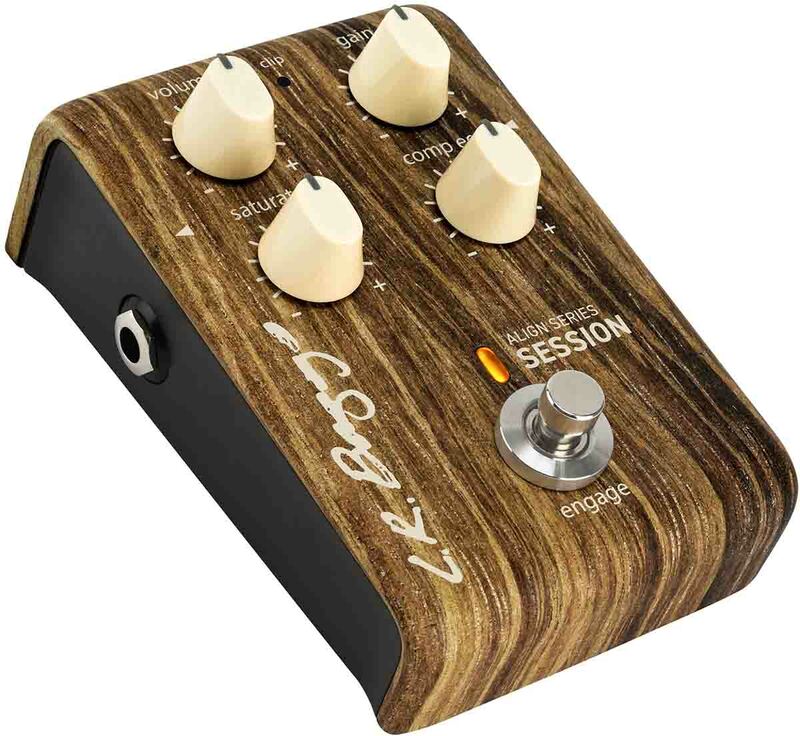 Session circuitry enhances your acoustic pickup and imparts the rich sonic character that you'd expect from an experienced audio engineer using some of the world's finest studio gear. 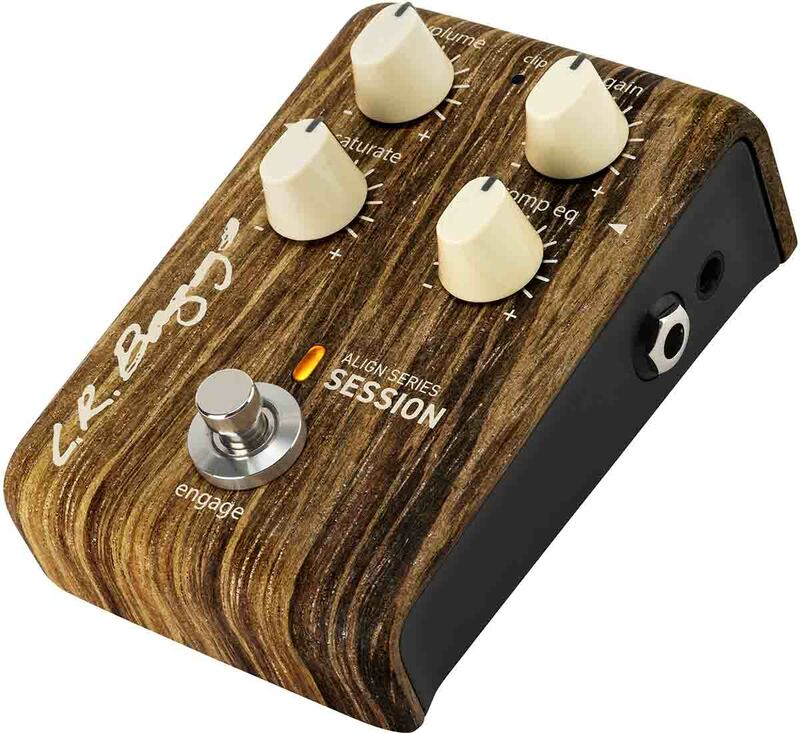 LR Baggs has captured this studio magic and put it into a compact, easy-to-use acoustic pedal that will transform your live sound. Often used by studio engineers in post-production, saturation adds warmth, dimension, and pleasing harmonics while smoothing the signal for an enhanced mix. The Session's proprietary saturation is voiced specifically for the acoustic guitar and transports studio analog warmth and inspiring playability to the stage. 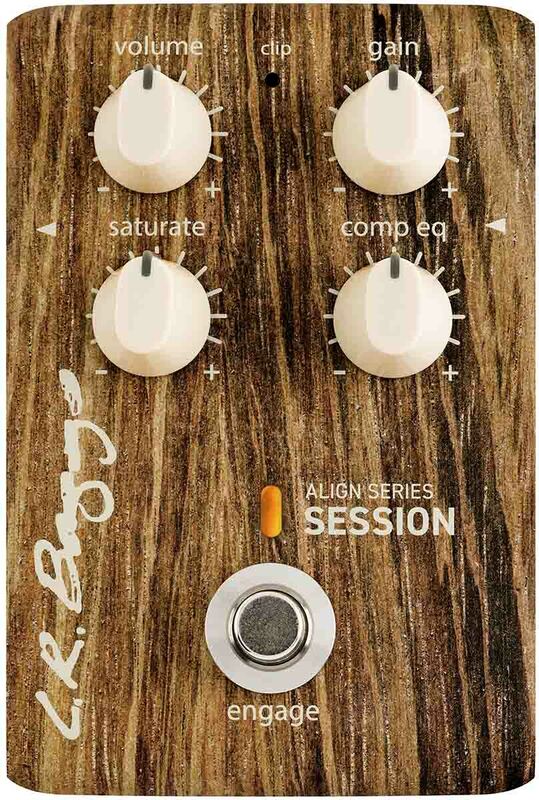 Unlike standard compression that can squash the entire range of your signal, the Session's Comp EQ features 3 narrowly focused bands of compression that tame common problematic frequencies and uncover the voice of your guitar. The low, mid, and high frequency compressors are essentially "touch-sensitive" EQs that respond in real-time to your dynamics. The harder you strum, the more they compress and vice versa.